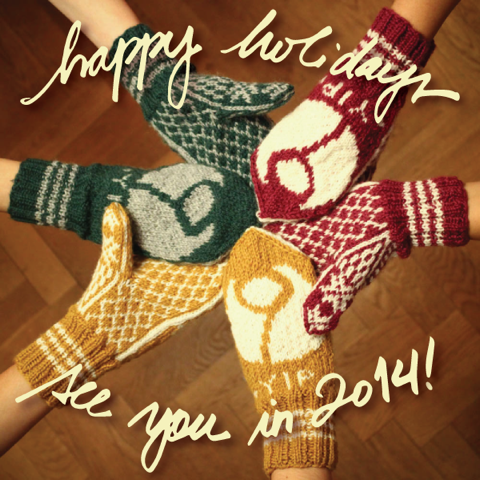 We wish you all Happy Holidays and we look forward to working with you in 2014! Buy your holiday gift and support an organisation you love at the same time! Donate to YIP and win a pair of mittens! Bid for a pair of YIP mittens starting at SEK 350. See colours and patterns here. The person with the highest bid as of January 6, 2014 will be the proud owner of a brand new pair of hand-knit YIP mittens. Don’t lose time! Make your bid now! These mittens were generously donated to YIP by Sunniva Lund-Menke, who hand-knit each pair. The cost of the materials was SEK 100, and each mitten took about 3 hours to knit. Thank you Sunniva!